The Volen National Center for Complex Systems was formed for the purpose of studying the brain and intelligence. The Center is composed of faculty members who specialize in artificial intelligence, cognitive science, and a wide range of topics in neuroscience including experimental psychology, computational neuroscience, and cellular and molecular neurobiology. Many neuroscience PhD students are also members of the Volen Center. The Center is an interdisciplinary group with the ability to perform scientific analysis of the brain from the cellular and molecular levels to the cognitive and computational. 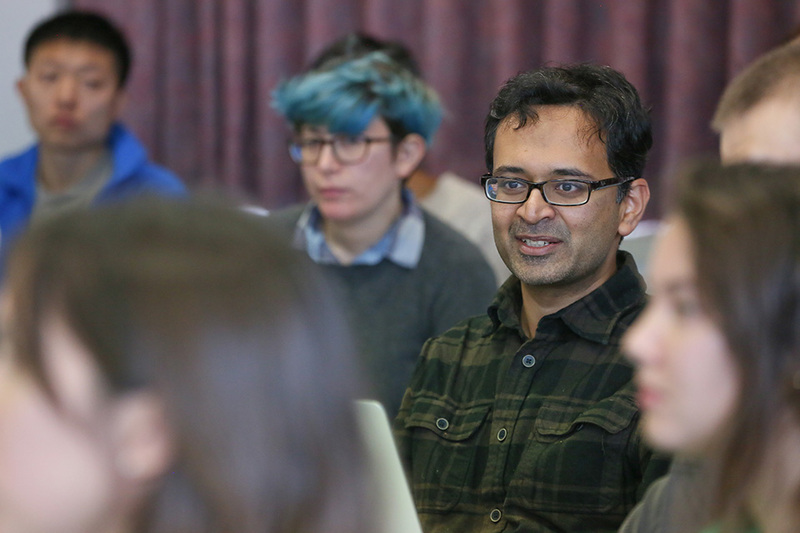 An annual Volen Center Retreat brings together scientists to foster collaborative research. The neuroscience community at Brandeis prides itself on its collegiality and collaborative spirit. Currently, seven students have collaborative research projects between two labs, where both faculty serve as “co-mentors” for the student. Science labs at Brandeis frequently publish peer-reviewed research together. A list of some of these publications is available.